Benito Mussolini and the Fascist Party came to power in 1922 and seven years later established a one-party state. By the outbreak of the Second World War the fascists influenced all aspects of the Italian Army. The promotion of officers who supported Mussolini lowered standards and seriously damaged morale. In 1940 Mussolini took over strategic control of the armed forces. Senior officers were not consulted when Italy entered the war in June 1940. 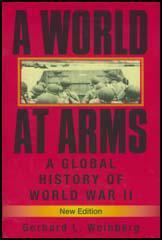 The army had 72 divisions, mostly of unmechanized infantry. There were three armoured divisions but their tanks were of a poor quality. The infantry were poorly trained and were paid low wages. 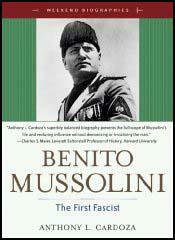 On the outbreak of war Mussolini already had over a million men in the Italian Army based in Libya. In neighbouring Egypt the British Army had only 36,000 men guarding the Suez Canal and the Arabian oilfields. On 13th September, 1940, Marshall Rodolfo Graziani and five Italian divisions began a rapid advance into Egypt but halted in front of the main British defences at Mersa Matruh. In October 1940, Benito Mussolini declared war on Greece. Attempts by the Italian Army to invade Greece ended in failure. The war was also going badly in North Africa. Although outnumbered, General Archibald Wavell ordered a British counter-offensive on 9th December, 1940. The Italians suffered heavy casualties and were pushed back more than 800km (500 miles). British troops moved along the coast and on 22nd January, 1941, they captured the port of Tobruk in Libya from the Italians. When the Allies invaded Italy on 3rd September 1943 only 12 divisions were available for home defence. They were soon beaten and the Italian government surrendered five days later.